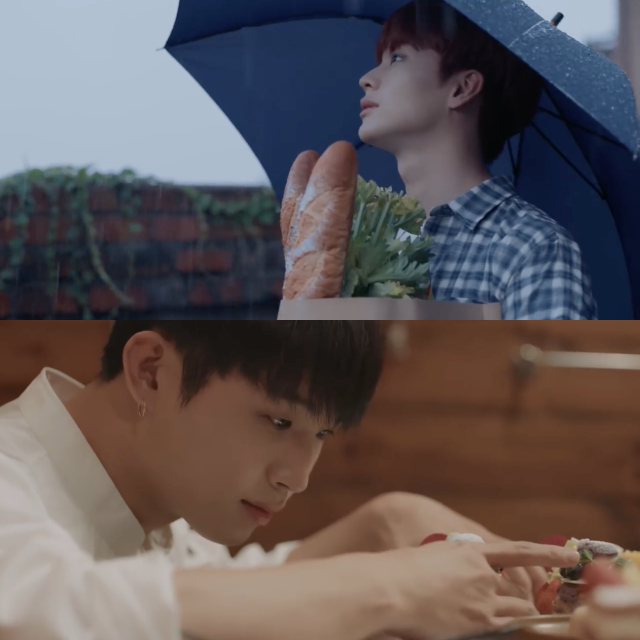 BTOB-BLUE (Seo Eun Kwang, Lee Chang Sub, Im Hyun Sik and Yook Sung Jae) recently just released the newest teaser for their new song entitled ‘When it Rains’ that will be released in 2nd of August. 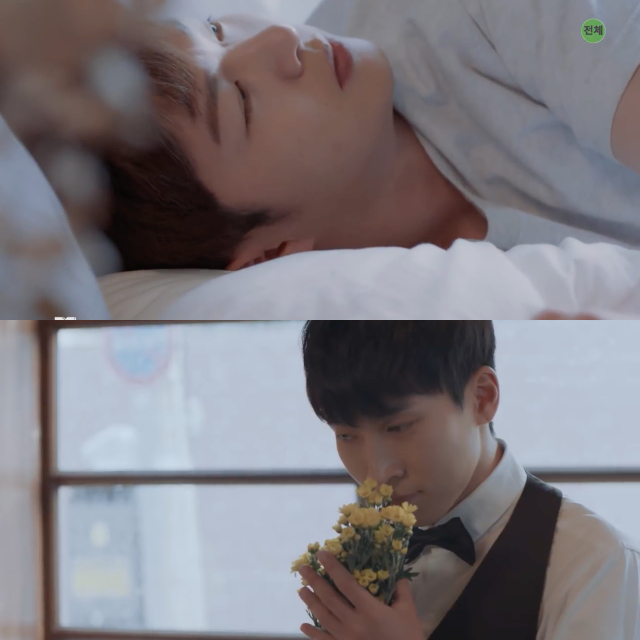 In the teaser, the BTOB member Lee Chang Sub were seen laying on the bed while Seo Eun Kwang was seen smelling the scent of the flower, Yook Sung Jae was holding the umbrella under the rain and Im Hyung Sik was seen decorating the cake that makes the fans curious on how the story in this music video will be unfold. ‘When it Rains’ is a ballad song that tells a story about a rain, love and also the separations of people. BTOB is currently working hard to prepare their fifth solo concert entitled ‘2018 BTOB TIME – THIS IS US’ that will be held in Olympic Park Gymnastic Stadium in Seoul from 10 to 12th of August. 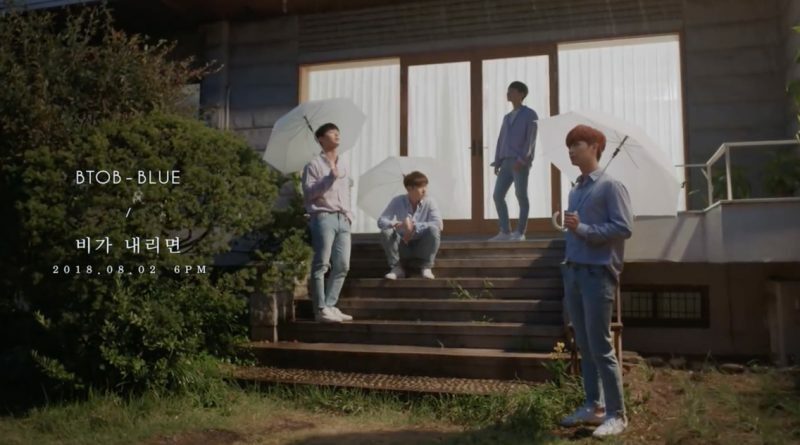 Meanwhile the second single of BTOB BLUE ‘When it Rains’ will be released through various music website today 2nd of August at 6 in the evening local time.